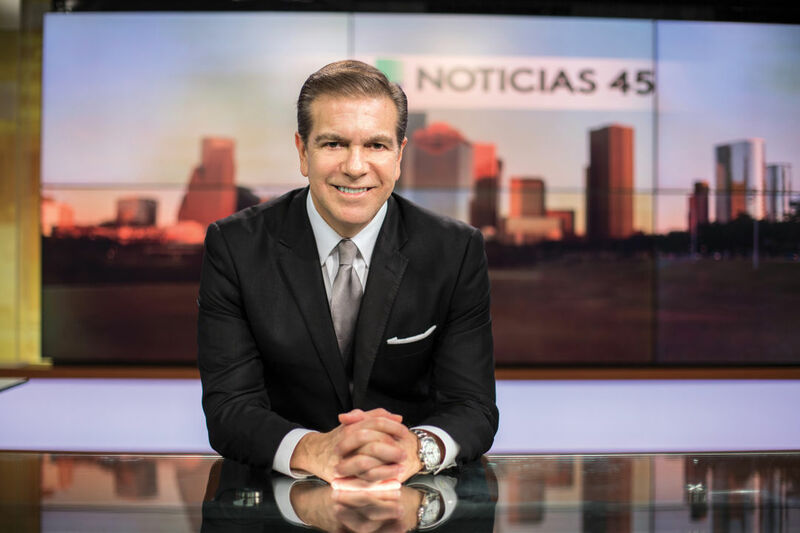 Can Univision 45, Houston’s Spanish-Language News Leader, Keep Its Edge? January 25 is a charged day inside the headquarters of Univision 45, Houston’s oldest and most influential Spanish-language television station. A surreal one, too. President Donald Trump (President Trump!) is preparing to sign an executive order directing the construction of a wall along the U.S.-Mexico border. Said structure would divide, literally and metaphorically, the country from which Univision broadcasts and the country in which a significant slice of its staff and viewers have roots. Like senior news anchor Raul Peimbert, California-born but Mexican-raised. Peimbert landed at Univision 45 in 2012, a transplant from the media company’s Los Angeles affiliate, where he’d served for nine years. This was in no sense a demotion; in the world of Spanish-language television news, Houston is a destination, not a stepping stone. By the start of this decade, Univision newscasts at 5 and 10 p.m. were the region’s most-watched in three key demographics (adults 18–34, 18–49 and 25–54), regardless of language. Now it jockeys month-by-month with Telemundo Houston, its most direct competitor, for Houston’s ratings crown. From editorial meeting to editorial meeting Peimbert glides, greeting colleagues with hearty handshakes and pecks on the cheek, ceramic coffee mug filled to the brim. His white shirt is starched, his dark suit and silk tie pressed, his gray-speckled hair crisply parted. He’s 55, a classic broadcaster in the Brokaw or Cronkite mold—steady, disciplined, stentorian. Journalism has taken Peimbert to every corner of the Americas. He’s interviewed more than 40 Latin American presidents, including the last six Mexican heads of state. He once anchored 14 hours of live coverage from earthquake-rattled southern California. He’s scored sit-downs with Bill Clinton and George H. W. Bush. At 31, as Telemundo’s national news anchor, he became one of the youngest people in American news history to hold a network newsreader position. (Peter Jennings clipped him at ABC, by five years.) On his shelf rest 12 Emmys and a Peabody Award, which he earned as part of a Univision public service campaign, in 2007. For years, media people were predicting this: One day, the Spanish stations will move past the English stations. That finally happened, maybe even faster than people predicted. At Peimbert’s desk, not far from the studio’s entrance, two dozen laminated media badges are pinned to his cubicle wall, forming something of a checkered collage: the White House media pool, the 2015 Texas gubernatorial inauguration, a Houston Texans press box pass. Beside his flat-screen computer monitor is a small television, tuned to CNN. There’s the president, at the headquarters of the Department of Homeland Security, signing an executive order that he pledges will reshape American immigration enforcement. Peimbert throws his jacket over the back of his chair, stores his ear piece in a drawer, and slips on a pair of reading glasses. They sit low on his nose, and slide lower still when he scrunches his face in Trump’s direction, concentrating on the language, absorbed in the historic moment, trying to make sense of it all for this evening’s script—at Univision, the anchors write all the text they personally read off the teleprompter. The Spanish-speaking population here is surging—some demographers predict that by 2050, 60 percent of Houston residents will be Latino. With this new administration in Washington making nativism a central, if unspoken, component of its governing agenda, the coverage that Univision 45 provides now, exactly 30 years after the station first went on the air, might be more important than ever. A red clock ticks behind Peimbert, second by second; one show is bearing down on the staff, and another will follow five hours after that. What, exactly, do his audience, his community, his people need to know? Jose Adán Treviño, Univision 45’s co-founder, will tell you he got into the media business “by accident.” It was the late ’70s, and Univision, then called Spanish International Network, was looking for a foothold in Houston. Executives approached Treviño, a pharmacist by trade and an entrepreneur well-connected in the burgeoning Mexican-American community, wondering if he could recruit a small team of investors, maybe put in a bid for a frequency that had just opened up. Univision 45 went live on September 18, 1987, with a 1,500-foot transmitter tower and a staff of 35. The studio was set in a converted warehouse on Kirby, south of the Astrodome. The programming formula, as in other cities, was simple: 24 hours of news, sports, variety shows, and telenovelas, the soapy dramas produced south of the border by Mexico’s gargantuan TV company, Televisa, in which beautiful people argue beautifully. A survey taken six months after the launch found that 82 percent of Houston Hispanics were already tuning in. Local news coverage came slowly, starting with two-minute news capsules sprinkled throughout the day, plus an hour-long public-affairs show, Canal 45 y la Comunidad, which ran on Friday nights. Noticias 45, the 5 p.m. weekday newscast, entered the rotation in April 1990, with a notably DIY aesthetic. Volunteers and friends built and painted the sets, experimenting with colors and designs on the fly.  By 1994, Univision acquired the station outright. Concept, proven. General manager David Loving runs the shop now, in a much larger compound than Treviño ever had, near the Southwest Freeway and Sage Road. The six-story red-brick building, which Univision bought in 2006, houses Univision 45, UniMás (a youth-oriented station), five radio stations, various digital entities, and 150 employees. It’s one of the company’s largest and most sophisticated outposts. 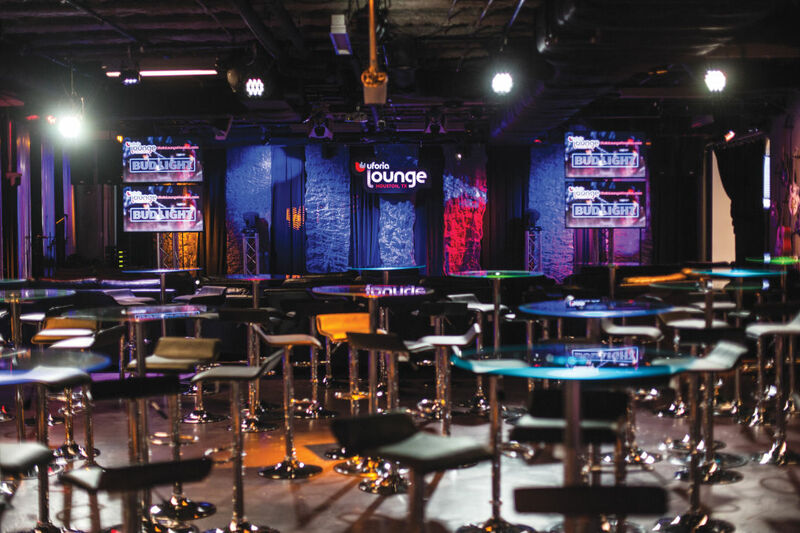 The third floor features the Uforia Lounge, a 300-capacity custom night club, where Univision stages corporate events and a monthly concert series. An appearance last February from CNCO, the Latin boy band, “was like a Beatles concert,” Loving says. There are nearly 700,000 Hispanic households in the Greater Houston media market. Spanish is spoken, to some degree, in 90 percent of those homes. It’s a lot of potential eyeballs. And while Univision’s English-language counterparts split viewers across a half-dozen channels, Telemundo Houston is the station’s only true rival on the dial. So yes, part of Univision’s success in Houston comes down to simple math. It’s not like anyone is contractually obligated to watch the news every night, though. You still have to put on a good show. Watching a live Univision telecast in person is strangely serene. Zen, even. It’s rare to find a setting so isolated, so tranquil. The walls and floor are black. Everything is soundproofed. Only four or five people occupy the studio at any given time, including the on-air talent. There aren’t even cameramen—the cameras are robotic, and operated by remote control. (Think R2-D2 but taller, with an HD lens attached.) How can an anchor lose focus if there’s nothing for her to see or hear? There’s at least one word that everyone, regardless of native tongue, can pick up easily: Trump. The tape rolls at 4:58 p.m., and the crew spends the first eight minutes reviewing the president’s immigration órdenes ejecutivas. We see soundbites from his speech. A field report is filed from D.C., explaining in detail the potential consequences. Then we cut to Rebecca Suarez, standing by for local reactions. Earlier in the day, she’d interviewed a Mexican-American woman whose nephew had died trying to cross the border. If the feds built a permanent wall, would desperate people start to take riskier routes? The need for information was unbelievable! 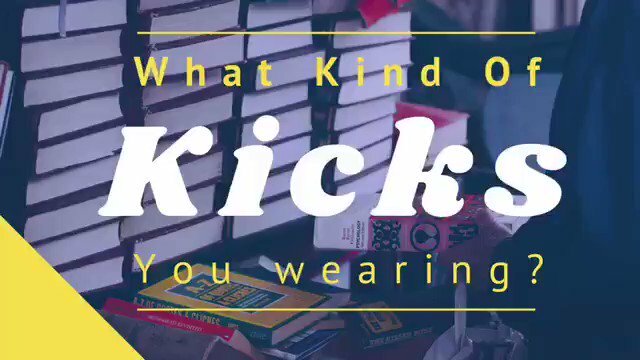 And the [Univision] team never shied away from getting it under the nails, rolling up their sleeves, and being part of the community, reflecting the community. They went in hard. That earned them far more than just the station badge. From the adjoining weather center, Rodríguez smoothly reviews the coming forecast in front of his green screen. The sports report, delivered by Enrique González, leads not with the surging Rockets or a Super Bowl preview but with highlights from Spain, where soccer juggernaut Real Madrid was surprisingly ousted from the Copa del Rey, the sport’s premier domestic tournament. A story on boxing, an Anglo afterthought but a Mexican obsession, follows. Finally, Peimbert is called in to tease his 10 p.m. Edición Nocturna. He perches on a nearby stool and buttons his jacket, clears his throat. The prompter rolls. His delivery is clean, authoritative. The gravity in the room shifts noticeably in his direction. Here’s a man who has seen things, and who will give it to you straight. The whole show—about 24 minutes, sans commercials—skips by in a flash. Around here, they usually do. Over on the North Loop at North Shepherd Drive, the news team at Telemundo Houston is scrambling to put on its own early-evening broadcast. To be fair, it’s actually three broadcasts rolled into one; for at least a year, Univision’s chief rival has run live local coverage at both 4 and 4:30 p.m., ahead of the standard 5 p.m. offering. That’s 90 minutes of pre-dinner information, general manager Tony Canales will remind anyone within earshot, a full hour more than Houston’s original Spanish-language giant. For years, Telemundo was an under-resourced ratings straggler. Anchors worked on a regional show out of Dallas, to which Houston-based reporters would contribute segments remotely. Then Comcast absorbed both Telemundo and its parent company, NBCUniversal, in 2009. That’s when the cash started to flow. Canales stands by, hair slicked back just so, as producers and on-air talent shuffle past each other frantically. Over four of the past six months, his 10.p.m. newscast has beat everyone in Houston among adults ages 18–49. The evidence of investment is everywhere. 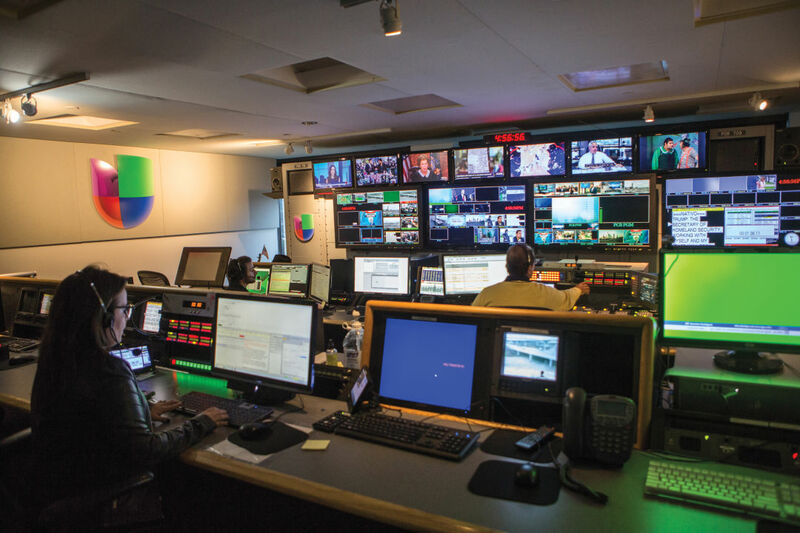 Bodies and desks are wedged into a newsroom built to accommodate far fewer; in just five years, the news staff has tripled to 42, the exact size of Univision’s. (That includes Telemundo Responde, a new consumer investigative unit.) There’s a dedicated mobile app with live streaming and weather alerts. A second studio. 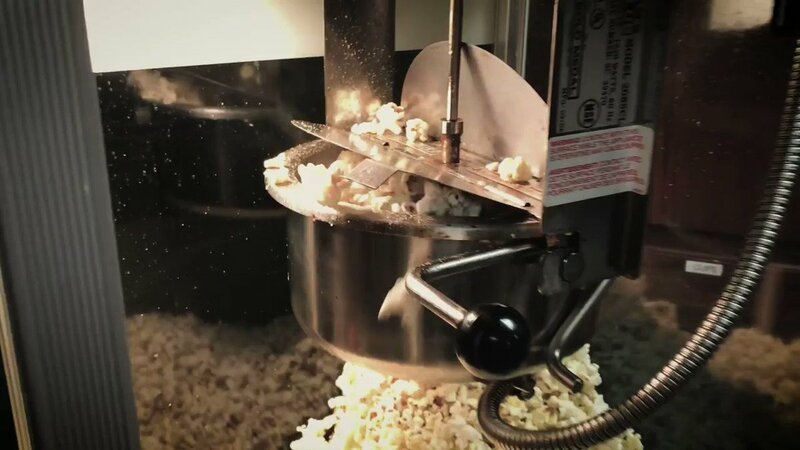 Fresh on-screen graphics. Crystal-clear camera work. A staff kitchen with steel appliances. In the week leading up to the Super Bowl, the station went so far as to erect a full set outside the George R. Brown Convention Center, providing on-site coverage of the downtown festivities. Media companies have really not yet unlocked what it is that younger Hispanic news audiences really hunger for, and what will drive their loyalty. Univision staffers in Houston, for their part, welcome the budding rivalry with Telemundo. “You feel that competition when you’re out in the field and you’re trying to get that exclusive,” says Suarez. “It raises our work to a higher level.” And journalists in both newsrooms are absolutely convinced that Houstonians will continue to seek out their coverage, on their televisions or tablets or cellphones, if it maintains its trademark cultural fluency. Across town at Telemundo’s headquarters, Canales likes to watch the broadcast unfold inside his state-of-the-art control room. Live shots of a jackknifed 18-wheeler beam in from the telecóptero, which parks at Hobby and whose signal Telemundo shares with a few other English-language counterparts. He giggles to himself as meteorologist Carlos Robles, on location at Discovery Green, fiddles with the station’s newest toy: an “augmented reality” weather device that creates dynamic, 3D images of storms and atmospheric events. “Did you see that! ?” Canales whispers under his breath, as Robles—a one-time Univision reporter—loads up the latest forecast. “Look at that thing!” Then, for kicks, Canales pulls out his iPhone and clicks on the Telemundo Houston app; since there’s a 20-second delay between cable and the Internet, he can relive the magic all over again. Amidst the gadgetry, it’s hard not to notice the two largest televisions in the room, mounted above the director’s head, side-by-side on the front wall. The left is showing Telemundo’s live feed. Queued up on the right? Univision 45. Here in Houston, Telemundo is expanding its reach like never before. But they know better than to ignore Raul Peimbert. Peimbert has been broadcasting since he was 19. Five years later, in 1984, a news director in Veracruz was looking for an anchor and asked if Peimbert might be interested. “I told the director, ‘Are you sure? Nobody is going to believe me! I’m very young!’” The 19-year-old could grow a mustache, which helped. A jacket and tie added a few years. The pre-show palpitations subsided eventually, too. Peimbert was on his way. Three decades on, he lives for days like January 25, when the news is consequential and immediate. Univision 45’s 10 p.m. broadcast is preceded by an episode of El Color de la Pasión; the final shot depicts a veiled brunette wailing in agony. From there, Peimbert receives his initial cue. And over the next 16 minutes, he quarterbacks substantive and uninterrupted coverage of President Trump’s immigration machinations. There are interviews with analysts, press conference cut-ins, footage from Mexico of President Enrique Peña Nieto’s response (subtitled, “Indignación”). Galvan sits down in studio for a brief chat with Harris County Treasurer Orlando Sanchez, discussing the future of “sanctuary cities.” It feels almost like an impromptu immigration special, appointment viewing for a slice of Houston thirsty for knowledge and clarity, for reassurance. Peimbert lays his elbow on the desk, his Univision-branded laptop shoved to the side, watching it all unfold. Fifteen minutes later, Univision’s crew assembles as the program comes to a close. Tomorrow’s show will include a field piece about a popular local coffee shop. Assuredly more Trump coverage, too. They smile their winning smiles, banter like old friends. And Peimbert concludes the appearance like he does most others: with a warm smile and a little nod of the head.